We used about 6 cups water over all, for the 50 lb batch. 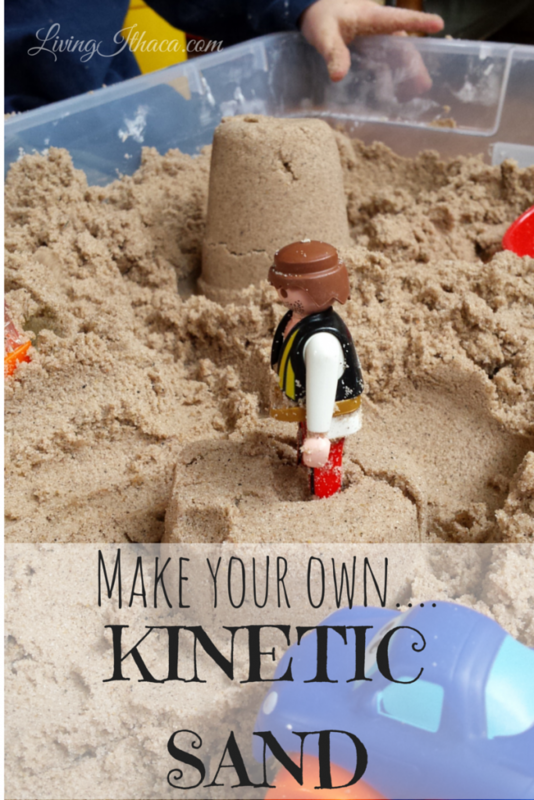 IF YOU WANT THE *REAL* (COMMERCIAL-STYLE) KINETIC SAND: One reader found out that the binding agent used for the commercial brands is Dimethicone (a substance commonly found in beauty products Im not sure how safe it is) and extra fine play sand. However, I do not know the proportions used or whether or not it is safe, and therefore do not hold myself responsible. It will also be about as expensive as buying the commercial brand from the store. 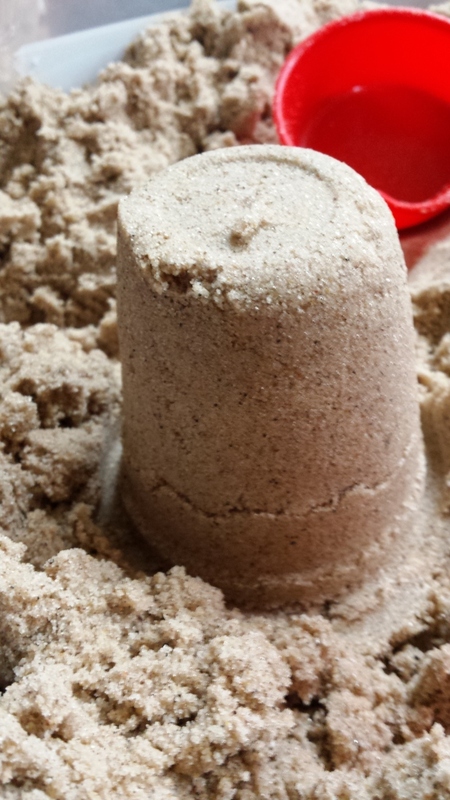 Ive been eyeing Kinetic Sand at Michaels for months now, and just cant bring myself to buy it. 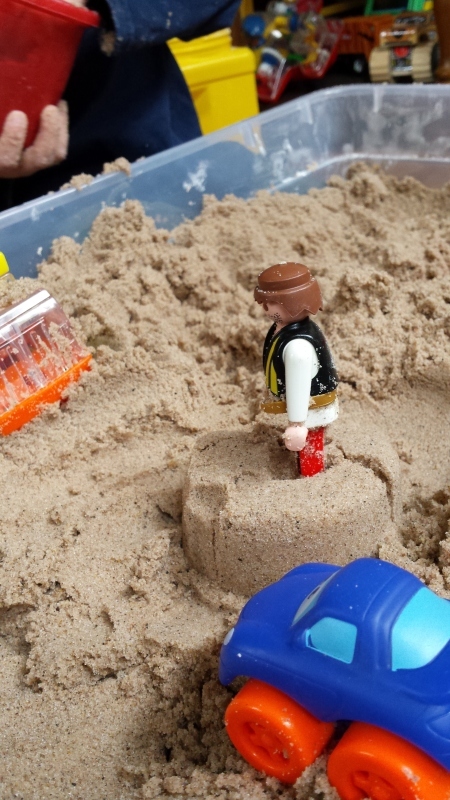 Its an excellent activity for sensory play, and overall a great activity to build fine and gross motor skills to move and build with the sand. 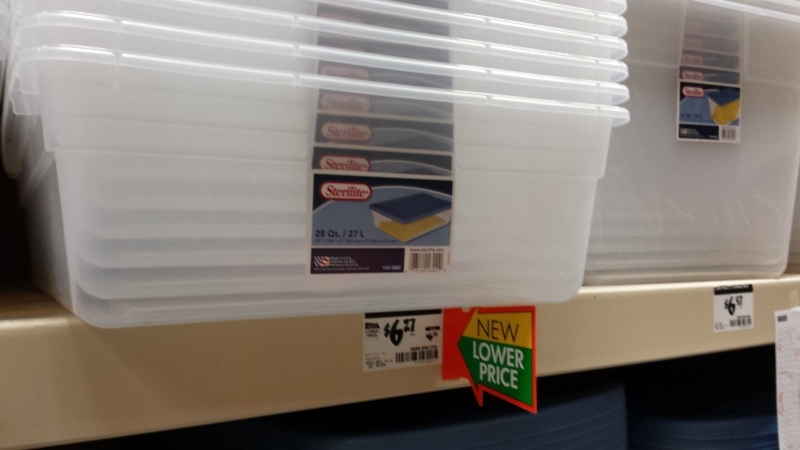 But the amount you get in the box at the store just doesnt seem like enough especially when you take into account that some would spill on to the floor and have to be thrown away. It would be such a waste in my house (especially when I think of how quickly we go through playdough). 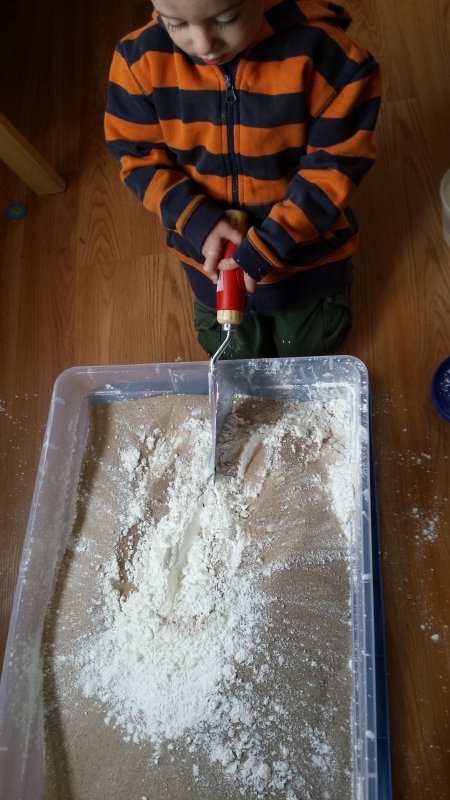 Ive seen recipes for your own kinetic sand online, but most call for flour (which can add up in price), and oil or glue(which personally grosses me out). So I thought about what you need to make Ooblek cornstarch and water and that adding sand would add the texture needed for the ability to form and mold it. 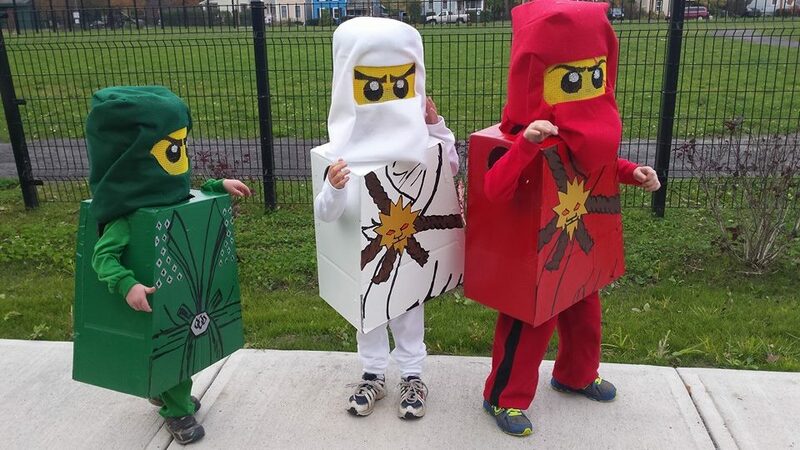 I decided to give it a try on Halloween, to occupy my two year old for a long stretch of time that I needed to finish their Halloween costumes. I already had the large BJs size tub of cornstarch at home. I went to Home Depot for the sand and a container large enough to hold it in, that also had a lid so it wont dry out. This recipe is enough for the 50 lb. bags of sand they sell at Home Depot, but you can scale it down if needed. 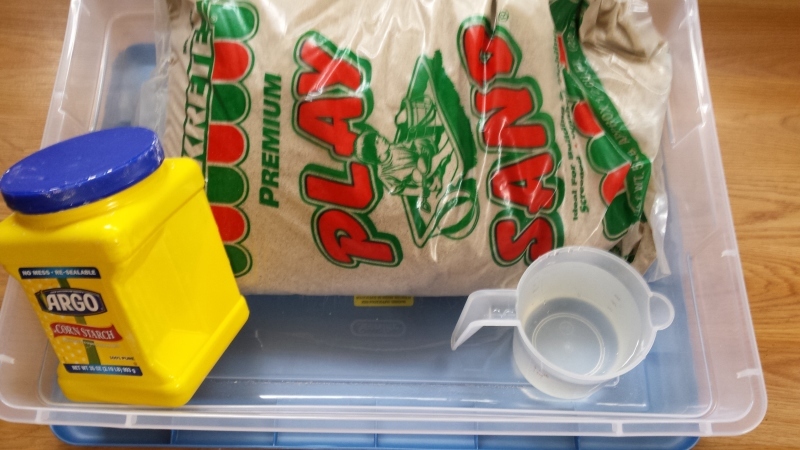 Plus, if you already have a container, you dont have to spend anymore than the cost of the sand and cornstarch (both run $3 $4 each). The 28 Qt. size here fits an entire 50 lb. 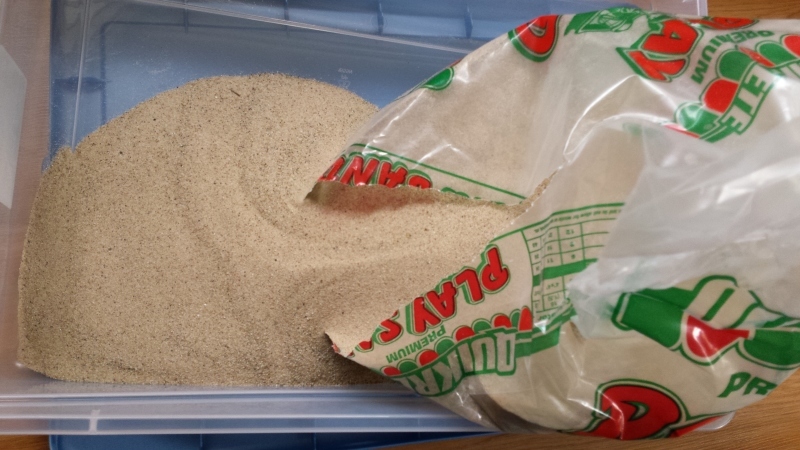 bag of sand and then some, but can not be lifted very easily. The 50 lb. bag of sand I used was $3.69. And then I used about 6 cups of corn starch, and a tablespoon of dish soap. Plus water I started with about 6 cups, since you need 50/50 mix of water and cornstarch to make Ooblek, and kept adding until it was the right consistency. 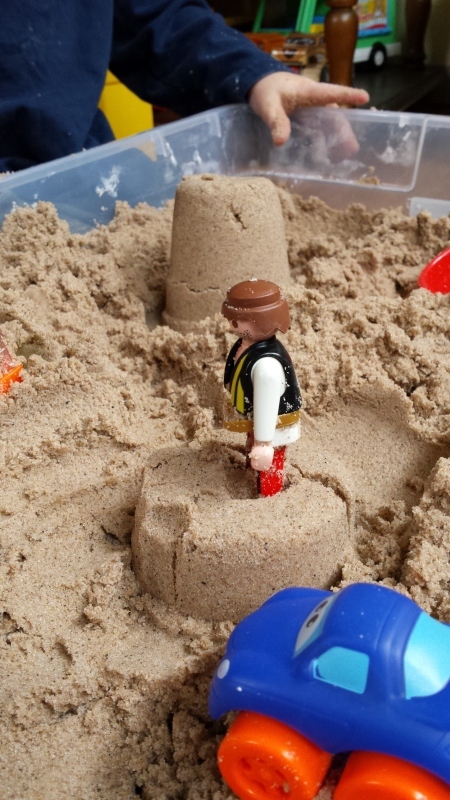 We eventually gave up on using the shovel and went right to playing mixing the sand with our hands. We added a bunch of toys, and my 2 year old literally played in it for about two hours straight. I added cups, spoons, cup measures, and cars. The perfect tools for open-ended sensory play that television cant provide or hold his attention for nearly as long. 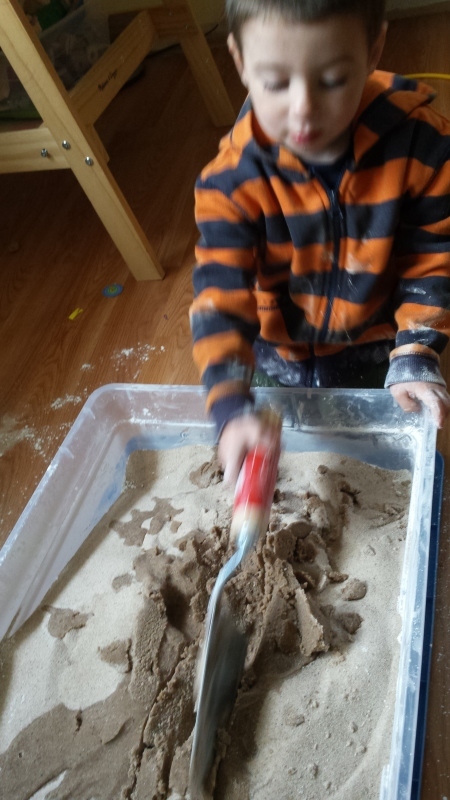 The nice thing about Kinetic Sand, is that it doesnt fly everywhere, and get in eyes. However, I do recommend that if you use a shallow container like I did, that you keep a dust pan, broom or dust buster near by to catch any spills. You can also keep it outside (in warm weather) or in a garage/basement, where clean up isnt as much a necessity :). The boys have gotten it out a few times to play with, and its been fairly easy to clean up. 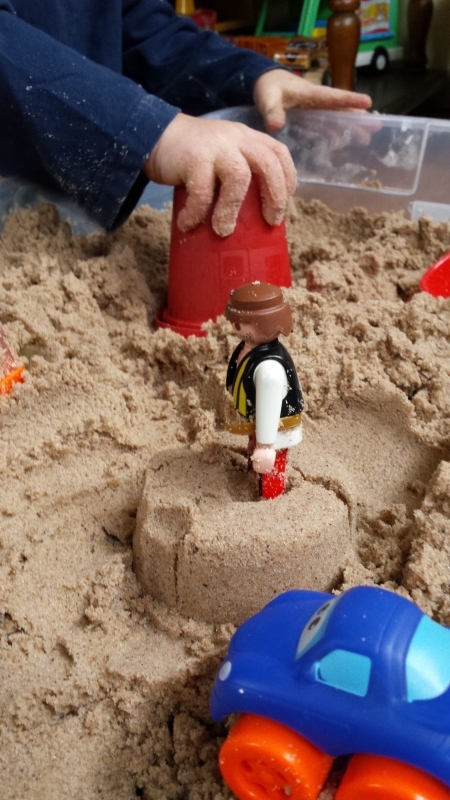 There is something about sand and sensory play that captures their attention for hours at a time, and I think its totally worth the mess for that independent play time.